A classic test of skill and pattern recognition, chess is a unique sport offered at the Cornhusker State Games. Unlike most sports at the Games, chess offers more of a mental test than evaluation of athletic ability, but many Nebraskans still seek out the chance to play the widely known game. According to chess sport director Mike Gooch, chess is a great activity to learn as the basic elements of the game only cost $10-15. “It’s an inexpensive activity which offers a lot of intellectual challenge,” he said. 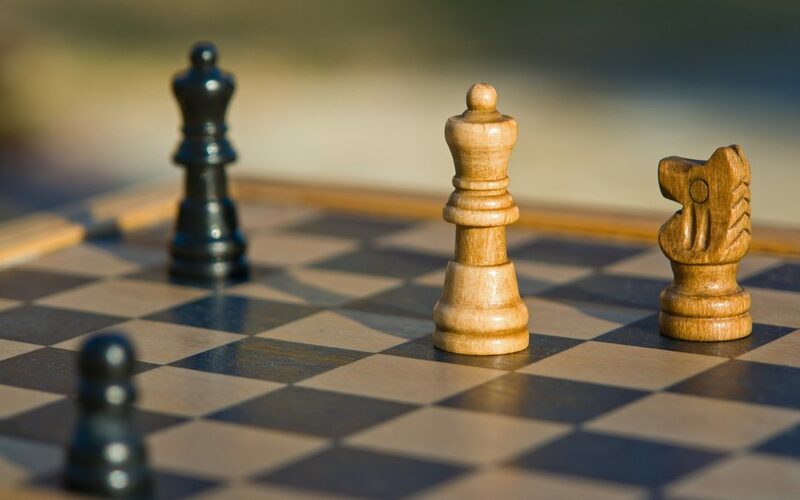 In the United States, the Cornhusker State Games are one of only three State Games which include chess, making it a great opportunity for local chess players to practice their skills. Although the event is an official US Chess Federation event, players do not have to be USCF members to play, and all games are official USCF rated games as well. For Gooch, he helps organize chess tournaments despite not being an avid player himself, as he believes in the value of chess. Gooch said playing chess helps players learn to accept consequences in losses and teaches pattern recognition, making it a great activity for children to learn. The inclusion of chess also allows for players such as Casey Welch to play in his first chess tournament. Growing up in Fairbury, Nebraska, Welch always wanted to learn the game of chess, but never got the chance since no one in his community played it. After meeting a friend who taught him how to play chess, Welch learned the game and is excited to finally get the chance to participate in a chess tournament. Competition at the Cornhusker State Games is divided into four broad classes: open, reserve, scholastic and junior. The open and reserve divisions are the most wide-ranging divisions, as they allow for players of any skill level to compete. The junior division is for players under 19 years old, while the scholastic division is for 13 year olds and younger. Following the four broad divisions, the reserve and junior sections are further divided by USCF rating to create balanced classes. If players have not competed in a USCF tournament yet, then they enter the Games as an unranked player and compete against other players who are unranked as well. While chess may not provide the physical test of wrestling or basketball, the game itself is an exhibition in skill and mental ability, making it a great opportunity for participants to test their chess skills. For Gooch, that opportunity is the reason why he organizes chess tournaments, as the game can spread to more Nebraskans. “I believe it is a game that offers the community, children and adult players the opportunity to do something they truly like,” Gooch said.